Carpets absorb an impressive amount of footsteps, accidental spills, dirt, and debris every single day without fail. Thinking about having your carpet cleaned by a professional is often overlooked because life gets in the way. We understand completely. We all lead hectic lives these days. Carpet cleaning doesn’t typically make the top 10 on the list of worries. Are you aware that a professionally cleaned carpet contributes to the health and wellness of your family? Your carpet can contain up to four times its weight in dirt all without you noticing it. Hiring a professional carpet cleaning company is the only way to get the embedded dirt, dust mites, grime, and other contaminants out of your carpet safely and effectively. In addition to that most carpet manufacturers require a professional carpet cleaning every 12-18 months to keep the warranty on your carpet valid. 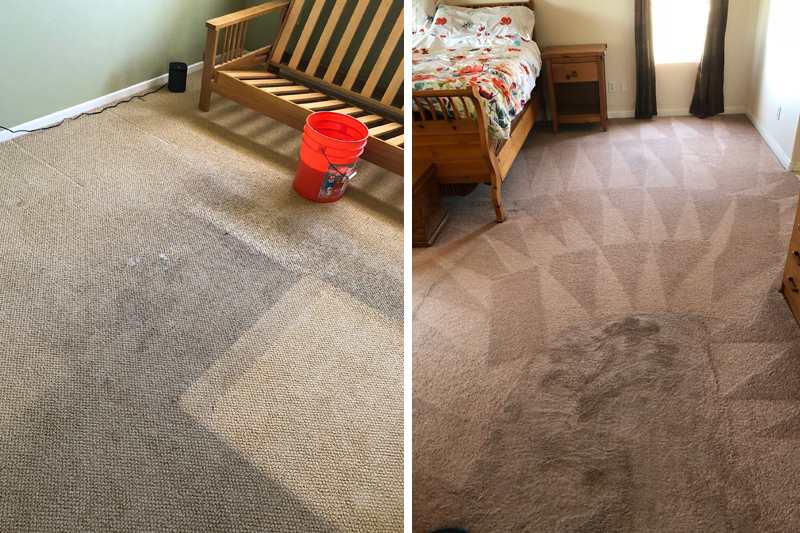 When it’s time for your carpet to get a thorough, complete cleaning, San Diego Carpet Repair & Cleaning is here and will do the job better than our competition. Our guarantee is backed by our word and by our deed as shown by our repeat customers. Our certified carpet cleaning technicians are well versed in numerous carpet cleaning services and will focus on getting your carpets to look like as clean as when they were first installed. San Diego Carpet Repair & Cleaning can help fix the potentially hazardous wear and tear on your carpet. San Diego Carpet Repair & Cleaning uses the most advanced technological carpet cleaning equipment available on the market. We also have the most effective techniques, in removing spots from heavily trafficked areas, pet stains, beverage stains and other types of accidents. We customize your carpet care plan based on the needs of your carpet. We want to make sure we fully revive your carpet’s appearance to the best of our abilities. Our carpet cleaning service will eliminate any odors present in your carpet during our thorough cleansing process. We start our carpet cleaning process with a proper carpet pre-inspection. The pre-inspection is vital for the restoration of your carpet, as it will allow us to create a plan to service your carpet accurately. This is the ideal time to inform us of any particular concerns that you want us to address. We will inspect your areas of interest as well as take note of the carpet construction, and current soiling conditions. We will also notify you of any permanent staining so that there will be no surprises after the work is finished. Not all stains can be removed. If a carpet cleaning company claims they can remove all stains is not trustworthy or professional. We always keep everything above board and will not shy away from telling you the truth. Your carpet may need to be pre-vacuumed to remove bonded dry soil. This makes our main cleaning methods run smoother. 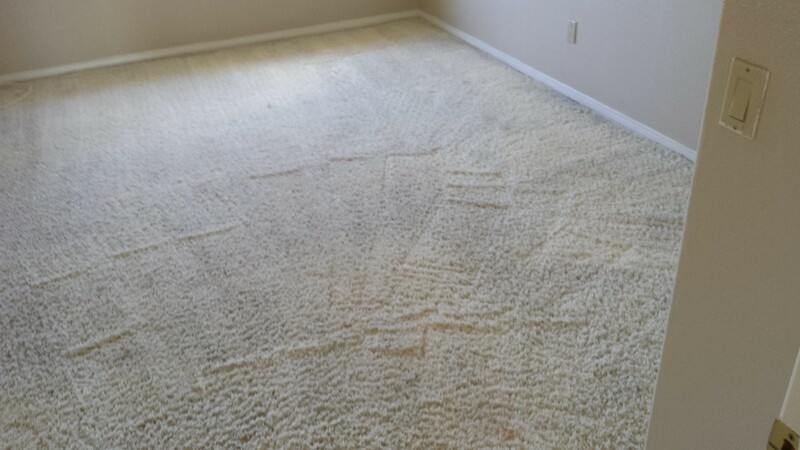 This pre-cleaning will help us remove more of the dirt and debris during our carpet cleaning process. This is separate from the vacuuming that takes place during the entire length of the cleaning process. If requested by our client sofas, chairs, tables, and any other furniture that is of suitable size will be carefully moved by San Diego Carpet Repair & Cleaning. Large pieces of furniture, such as beds, entertainment centers, china cabinets, and other large liability-prone items are left in place under our standard pricing structure. Traffic areas and spots are pre-treated for effective soil and spot removal. Pre-treatment ensures that soil and spots will be lifted from your carpet. No stain will escape our view, as our goal is for perfection in our cleaning process. Even with pre-spot treatment, some stains cannot be removed completely. Depending on the soil level your carpet will be pre-groomed with a carpet groomer to loosen the soil in heavily trafficked areas further. This procedure helps the primary cleaning process become more effective. After the soil is loosened, our state-of-the-art truck-mounted hot water extraction machine will thoroughly rinse your carpet. Pressure and heat are regulated, so your carpet is not sopping wet. We rinse your carpet with specially treated water at cleansing temperatures ranging between 60-235 degrees. The temperature that we use depends on the fiber content and soiling condition of the carpet. Our carpet cleaning process will improve your indoor air quality by removing the pollen, pollutants, and dust mites from your carpet. Every carpet that we clean is rinsed with a PH balanced solution to prevent any sticky residue from being left behind. If there is residue left behind, problems will occur down the road with your carpet. A PH balanced rinse is a very critical step that is often overlooked or neglected by other carpet cleaners. If spots are not removed during our main cleaning process, specialized spotting techniques are used after a thorough cleaning to remove the stubborn spots. We will do our very best to make sure every spot is treated, utilizing the best of our knowledge and equipment available. This excludes permanent stains that are identified in the pre-inspection part of the carpet cleaning process. Carpets protected with our Maxim Advanced or DuPont’s Teflon products will last longer, clean up easier and stay clean longer. Overall our carpet protectors extend the durability and service life of your carpet. We offer carpet protection as an option, but it is up to you to decide if you want us to apply these products. After the work is finished, you can take a walk through your home or business, using the plastic boots we provide to examine our work and make sure that we’ve met your standards. If you are happy with our work, let us know, and if not, we’ll do whatever it takes to make it right. At the end of your inspection, we will ask you to sign our invoice. We are your local full-service carpet cleaning company and we here to help you today. Contact San Diego Carpet Repair & Cleaning today at 619-512-9661 to schedule your appointment. We look forward to serving you.